Once again, we thank Vanessa from veesvision for uploading this to the BViB photo pool. I like the contrasts of color, as well as the subjects. 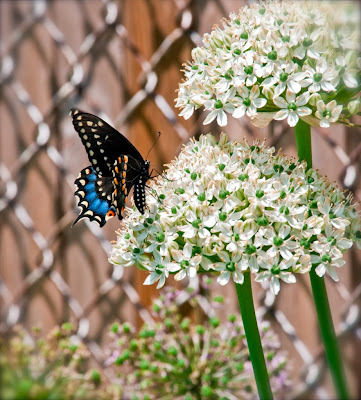 Chainlink as a background to flowers and butterflies always work.